Medical cannabis startups in Illinois have been worried about the state’s low MMJ patient count for months now, but they’ve held out hope that officials might expand the list of qualifying conditions and help boost the market before sales begin. Those hopes went up in flames last week when the state’s health commissioner shot down recommendations by a committee to expand the list by 11 ailments. Republican Gov. Bruce Rauner – who’s not exactly a fan of MMJ – also vetoed a separate legislative bill that would have added post-traumatic stress disorder as a condition that qualifies for medical cannabis cards. With less than 3,000 patients signed up for MMJ cards as of late August, the dozens of businesses prepping for launch in Illinois might find themselves with lots of product on hand and few patients to sell it to. Some believe the very future of the state’s four-year pilot medical cannabis program is now in jeopardy. Friedman said he’d seen one estimate that the 11 ailments the advisory board suggested could have opened up the MMJ program to an additional several million patients, though others said that number is too large to be realistic. The proposed conditions again included PTSD as well as migraines, irritable bowel syndrome, post-operative pain, and seven other less common ailments. Chicago-based cannabis consultant Michael Mayes said though several million might be an optimistic estimate, it may be possible, especially with post-operative pain included. “A lot of regulators think it’s a scapegoat to get a card, but (pain is) also one of the most therapeutic uses of cannabis,” Mayes said. Now, instead of potential growth, businesses are looking at scaling back, and some will likely reconsider their plans. Julie Stone, a co-founder of the Cannabis Association of Illinois, said the future of Illinois’ MMJ program is in question, simply because many of those involved don’t know what to make of Rauner’s administration and his decisions regarding cannabis. Rauner did say in a veto message to the legislature that he thinks it would be premature to expand the scope of the program already because dispensaries haven’t yet opened, so there’s no way to evaluate the efficacy of MMJ, according to the Chicago Tribune. Because the program is scheduled to sunset in 2018, that gives the matter even further urgency. 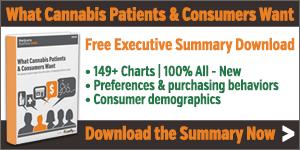 If patient counts don’t hit the level needed to keep businesses producing and dispensing, it could give Rauner’s administration reason to write medical cannabis off as a failure. Rauner also shot down an attempt to extend the pilot program in April, saying there’s plenty of time between now and 2018 to see if it works or not. The Tribune also reported that MMJ advocates are negotiating with Rauner to try to get him to support extending the program’s timeline. Still, many remain optimistic, said both Friedman and Stone. Both expect patients to re-petition the Department of Public Health to expand the qualifying list, and they’ll have an opportunity to do so starting on Oct. 7. “The advisory panel isn’t going to stop. All these conditions are going to be re-petitioned… The people behind this industry in Illinois aren’t giving up,” Friedman said. And a number of cultivators are close to their first harvest. Stone said those cultivators are hoping that once dispensaries begin serving customers, that will jumpstart the patient registry and more will enroll in the program. “I hope that’s the case, because patients are what will change Rauner’s position,” Stone said. 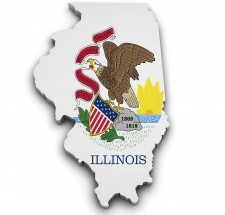 Ultimately, Illinois will license 60 dispensaries and 21 cultivators. The licensing process is ongoing, but nine cultivation centers have thus far gotten the go-ahead to begin growing.